So how much does sanding floorboards cost? 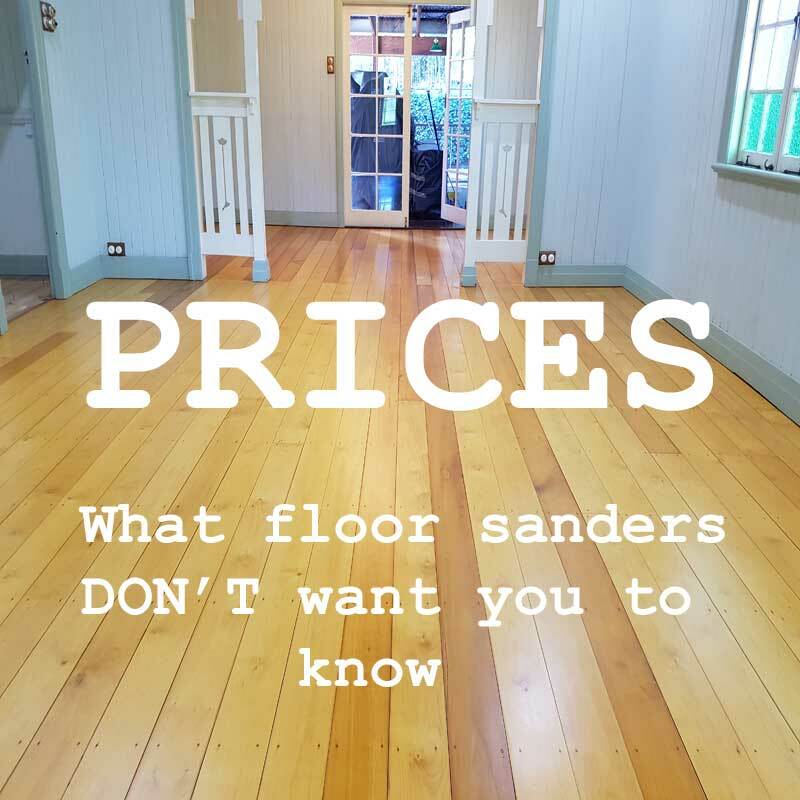 Our Brisbane prices guide help you to calculate the floor sanding costs to sand, polish and restore your timber floors. Based on average sized rooms excluding the bathroom and toilet. Use this amount as an approximate price guide. The cost per m2 will vary by actual floor dimensions and condition. To calculate your floor sanding costs, you need to consider all aspects. This is to determine the exact costs, time and work necessary to produce a floor with a high standard of workmanship. 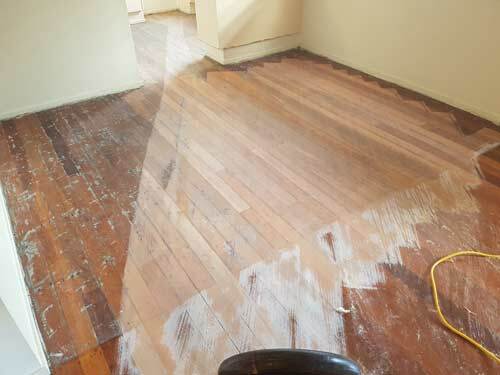 Economy floor sanding Brisbane offer free onsite inspections and written quotes. This is the best way to calculate the costs of your floor sanding project. Floor sanding and polishing cost per m2 can start at around $25 (plus GST) for a new floor. In contrast, it can reach $40 plus m2 for a floor in poor condition. As mentioned above, the difference in surface conditions will vary prices. All things considered, it’s still inexpensive in the long term in comparison to carpet. If you’re uncertain how the process works, we are here to help. By all means call or email us about any facet of your timber floor sanding project. It’s all about how we treat our customers. We are more than happy to conduct further consultation. We’re also happy to reply to further questions on our wood floor restoration proposal. Call Economy Floor Sanding Brisbane 6 days a week at a time that suits you. Your floor sanding cost estimate is a phone call away! Here and there, floor sanding costs related to the work involved can vary. Materials and related timber flooring products can also increase costs. This old pine floor for example, had borer damage. I would need to source floorboards before the starting day. Without delay (and before offering a quote) I contacted the timber yard about prices. From time to time timber prices move up and down depending on availability. Generally speaking, prices for new Hoop Pine floorboards are $6 to $8 (+GST) per linear metre. Prices will also depend on timber grade. In any event, at the time, Hoop Pine floorboard prices had soured to $13 (+GST) per metre. This was due to a shortage at the time. This old hardwood floor is another example of why prices for materials can vary. To begin with, glue covered the surface. This gums up the sanding belts fast. There were also hundreds of staples hammered down flat. In like manner, the steel staples blunt the sandpaper belts. Depending on the grade of paper, these belts can range in prices between $8.50 to $11 (+GST) each. A floor like this one could chew through 10 to 20 belts in no time. Besides extra materials, further labour costs increase. To sum up, in this case the costs for the extra work involved for this floor was $264 including GST. YES... you get the business owner on-site on every job... YES we supply a Q.B.C.C. contract for every client and YES, we guarantee in writing that your home will be dust free. WHAT ELSE? 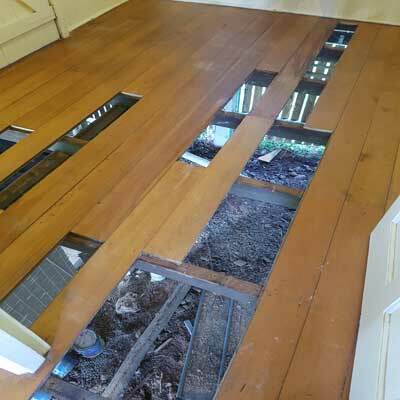 When dealing with tongue and groove timber floorboards, there are a wide range of issues that can arise. You get a skilled floor sander on-site, that can deal with any timber flooring problem. Our floor sanding and polishing services offer premium quality workmanship at competitive rates. 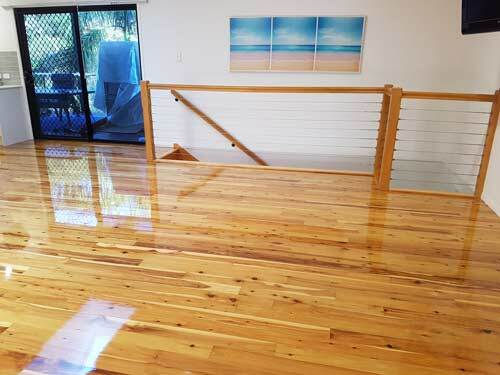 We polish timber floors for clients all over Brisbane. So request a quote right now! We offer flooring options within our quotes and offer our clients freedom of choice.